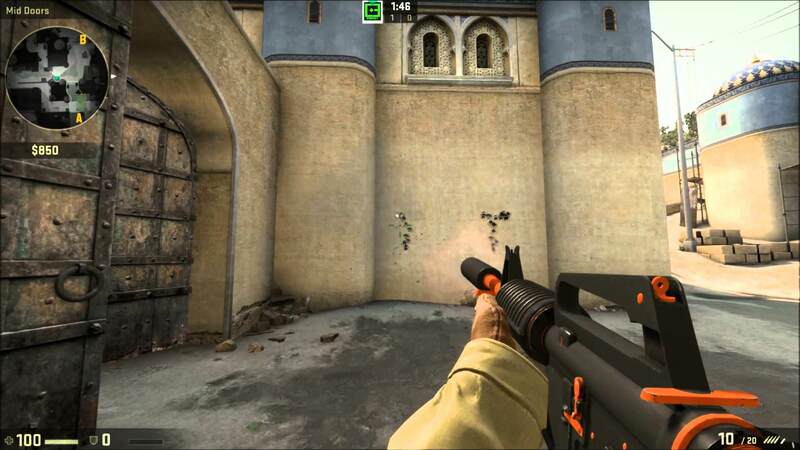 CS:GO Stats | Understand how the recoil and spread mechanics work! How to become a spray-control master! Controlling spray and recoil is an integral part to improving in CS:GO and making sure you won’t be outgunned by opponents. Each gun has a different spray pattern and recoil to it. Mastering each one is a time consuming process that might make the difference between taking down a single enemy and then being overrun, or firing right through the group to claim victory. 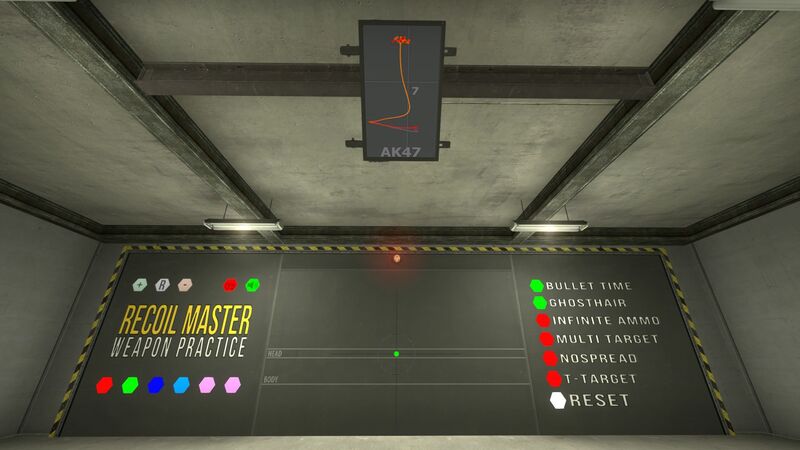 Working to control a weapon’s spray against recoil is usually a byproduct of working on your aim, making the two a joint practice that is a must for anyone looking to seriously compete on the competitive ladder. Have a look at our article on warmup and training techniques! Again, the best map to practice on for spray and recoil is probably Aim Botz - Training, mostly because the ease in which you can place bots in stationary positions for firing practice is almost unmatched. It helps that the map also allows you consistent practice for other methods of firing too. The first thing you need to do before you can practice spraying is kill the gut reaction you might have to hold down and unload the clip at the first sight of the enemy. Killing this hair trigger will also help in other aspects - like grenade tossing and rifle usage - but it especially important when it comes to group fights where a solid spray could nullify multiple enemies and swing a match. Of course, it is always best to equate a single shot to a single kill, but in situations that you know another player will be rounding the corner on you once you pop the first enemy, holding that shot and knowing how to manage the recoil should be something you are capable of doing. Eventually you need to be able to make your gut reaction that of a controlled fire. It will take time and will seem ridiculous for newer players, but being able to rely on the muscle memory instead of overthinking a situation can actually be a positive. Just pick a gun - preferably one of the top models - and get to practicing so you can learn the spray/recoil shape of each gun. For those of you who need a brief overview of what spray and recoil actually is in the case of CS:GO and most games with shooting mechanics - think of it like an earthquake. The initial shaking is what causes the most damage, but the aftershocks can be just as dangerous in some scenarios. 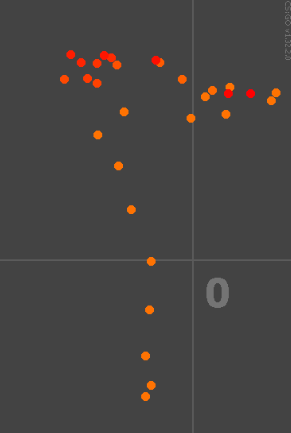 Every automatic weapon in the game has a distinctive “shape” or "pattern" that is made when the gun rapidly unloads. This pattern remains the same regardless of other factors when it goes full auto. Essentially, the longer you shoot the more the destination of the shot changes due to recoil. That is the biggest cheat for studying the firing patterns, since they all remain the same you can predict where you need to readjust at to make sure your bullets hit your designated target shot after shot. If you can effectively reverse this shape as the gun unloads, you can ensure a better outcome for yourself. Of course this doesn't come without days of practice building up the correlating muscle memory and working on that twitchy trigger finger. The basics help, but you won’t feel comfortable in your spraying until it is second nature to you. Practice on the stationary targets in the map provided and then move onto moving targets. Work on minimizing the amount of thought you need to put into each action and keeping the pattern flowing between targets. You should be able to tell when your reflexes are enough to jump into actual matches for a good old trial by fire.